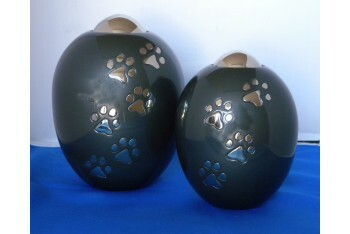 Available in grey glazed effect finish and silver paw print symbols, this urn comes in small an..
A bird bath with a difference, while garden birds bath on top your loved ones ashes are held safe an.. 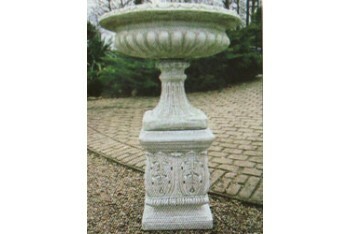 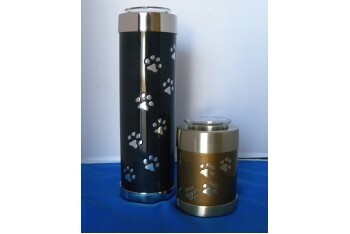 The Bradford pet urn is a high quality solid brass urn. 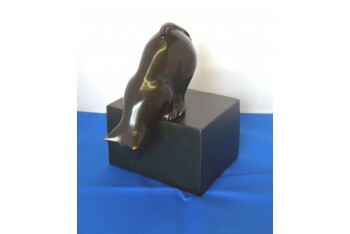 It has been hand casted and intricately hand..
beautifully crafted, bronze cat mounted onto a metal casket measuring apx 4.5 x 3.5 x 8 inches. 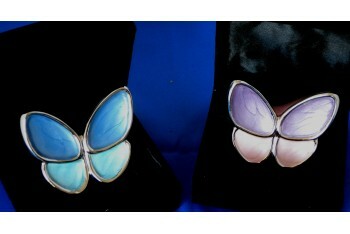 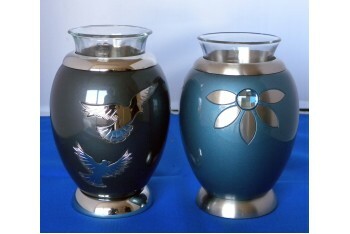 Will..
A metal based glazed effect finish in Pink or Blue, keepsake or token urn, in a traditional butterfl..
A unique urn/candle holder in glazed brass hollowed to hold two sizes of pet ashes a small to l.. 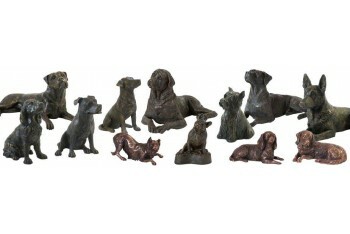 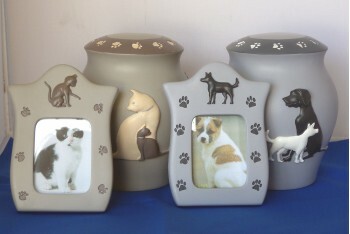 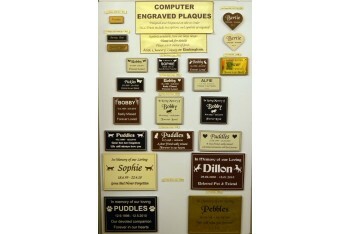 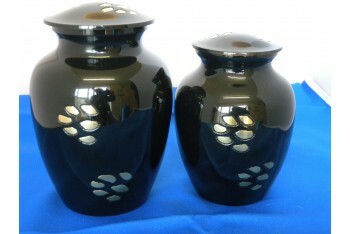 The antique finish cast figurine caskets are hollowed to hold your pets ashes, bottom loading. 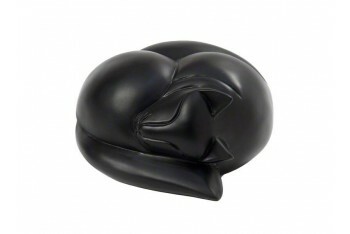 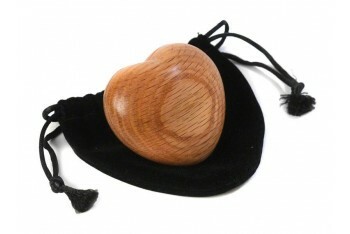 Altho..
Hollowed to hold your pets ashes this cast resin sleeping cat incorporates powdered stone and may be.. 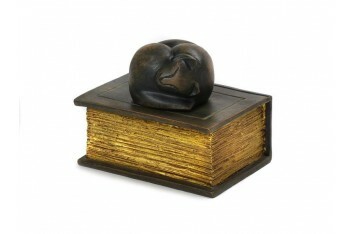 Cast ornamental casket finished in lovely aged bronze and gold platina, ashes are contained in the b.. 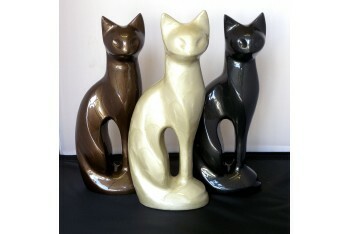 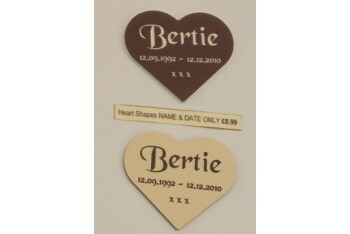 These elegant sitting cats in a glazed solid brass are beautiful urns and also excellent ornaments, ..
Professionally engraved plaques in black, brown, cream or brass effect in a large assortment of size..
A very attractive pottery crafted 3D urn in both a cat and dog design, both have matching photo fram..
A unique urn/candle holder hollowed to hold a small pets ashes or token ashes from a larger pet, com..
Professionally engraved heart shaped plaque, choice of font styles, may included name and date..